I had the opportunity to see the as-yet unreleased iPhone application, and it is fast. Blazing fast. The two engineers I spoke with said the new application is being tested by Facebook developers and is expected to be updated this summer. Don’t get too excited, though. 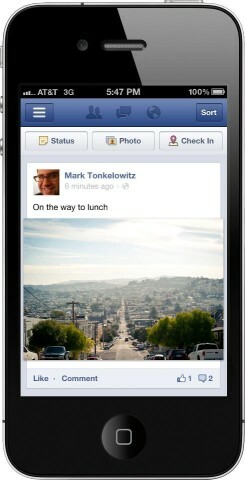 The new Facebook app looks exactly like the old one. Facebook hasn’t changed the design, but rather focused on speed.